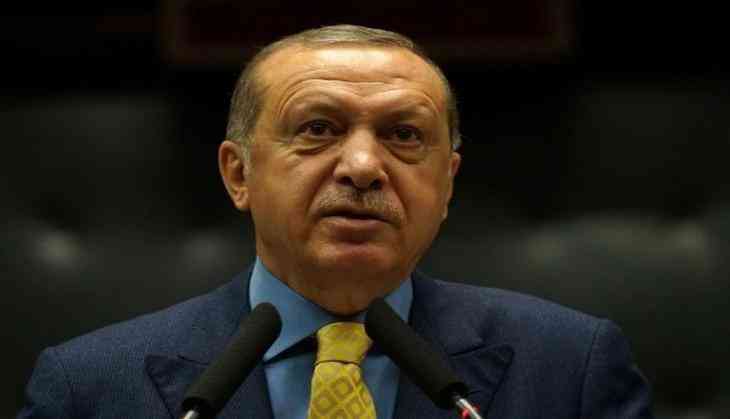 Turkish President Recep Tayyip Erdogan is scheduled to pay a one-day visit to Russia's Sochi city on Monday and is expected to hold talks with his Russian counterpart Vladimir Putin. In a statement issued by the Turkish presidential office, apart from the one-on-one talks between Erdogan and Putin, delegation-level talks also comprising Turkish and Russian officials will take place, Anadolu News Agency reported. Various issues such as bilateral relations, economy and energy, regional and global issues, particularly the situation in Syria is expected to be discussed between the Turkish and Russian presidents. Last week, a trilateral summit was held in Tehran, wherein the presidents of Iran, Turkey and Russia had participated. The leaders had called for a ceasefire in Syria's northwestern Idlib province, the site of various missile attacks, that has claimed hundreds of lives in the past few months, the report said. The Syrian military forces have recently announced plans to launch a major offensive to drive out the terrorists from the region. In November last year, the first trilateral summit between Russia, Iran and Turkey was held in Sochi to discuss the progress made in the Astana peace talks and de-escalation zones in Syria. A second meeting was held in Ankara in April this year.